The Canine Noise Phobia Series (CNP) is a 4-CD compilation of specialized audio recordings and innovative training protocols specifically designed to reduce and prevent noise phobias and anxiety in dogs. 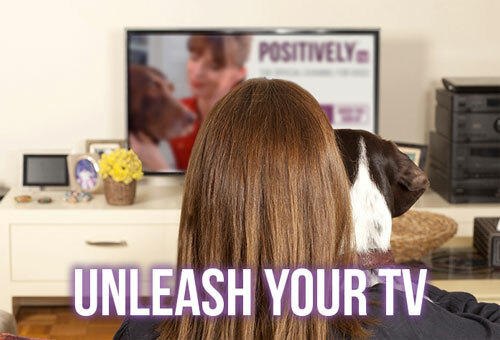 “In my work as a dog trainer both on TV and in private practice over the past 15 years, I have seen countless dogs suffer from the significant physiological changes which take place when they experience stress. Phobias to such triggers as thunderstorms, fireworks, or the sounds of the city can have devastating consequences on both dogs and their people. That’s why I’ve collaborated with sound researcher Joshua Leeds and concert pianist Lisa Spector, founders of Through a Dog’s Ear to develop the Canine Noise Phobia Series.” Advances in modern behavioral science help us understand what our canine companions need to be healthy and confident, and the Canine Noise Phobia Series helps provide important tools so that our dogs can live happier, healthier lives. 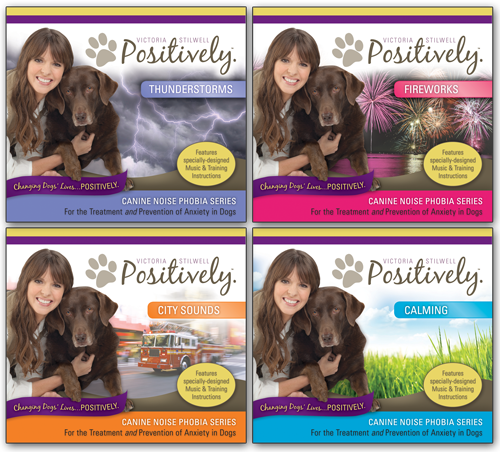 In an exclusive partnership with the founders of the acclaimed Through A Dog’s Ear canine music series, Victoria has developed a groundbreaking new treatment for several commonly-found triggers of canine anxiety, including Thunderstorms, Fireworks and City Sounds. A 4th CD, Calming, is a powerful tool which can be used to reduce the stresses suffered by anxious and noise-sensitive dogs, and is effective in applications ranging from separation anxiety to excitement with visitors and reactivity. We'd love to hear how using the CNP series has worked for you. Please click here to send us info about your experience working with this exciting new tool! Through A Dog's Ear's website. The Through A Dog’s Ear music on Calming is intentionally selected, arranged, and recorded to provide easeful auditory assimilation. Three primary processes are used to accomplish this effect: Resonance, Entrainment, and Auditory Pattern Identification. 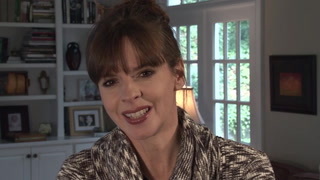 By combining progressive sound effects, the specially-designed psychoacoustic music of,and Victoria’s reward-based reinforcement protocols, the Canine Noise Phobia Series is an innovative desensitization tool that not only helps reduce the anxiety suffered by noise-sensitive dogs, but also reduces the likelihood of common sound phobias or general anxieties from ever developing. Back to top. This recording pairs clinically demonstrated calming music with the sounds of thunderstorms at gradually increasing levels. The use of progressive and random sounds holds your dog’s attention, helping them to acclimate in a controlled environment. Intermixed with music, sound effects progress from faint to heavy throughout five tracks. This technique provides variables that can be tailored to each dog and their specialized situations. Progressive sound effects create the space necessary for human positive interaction. This Prevention and Desensitization recording is uniquely constructed to give your dog the ability to ‘tune out’ the sounds of a thunderstorm. The simplified piano music of Through a Dog’s Ear has been used in thousands of homes, rescues, and shelters to create a safety zone that universally relaxes canines. When dogs associate the music with tranquility, the music becomes a calming trigger, in and of itself. In effect, the music becomes another positive reinforcement. The music also keeps your canine’s stress levels below the threshold of fear or distraction. One of the extraordinary things about the CNP Series is that can be used with dogs prior to the development of noise phobias, as well as for the treatment of dogs who are already sound-fearful. When used properly and in conjunction with positive behavior modification therapies, canines will learn to be calm and associate positive feelings with thunderstorm noises, rather than experiencing fear. For adult dogs, treatment is accomplished by a perceptual readjustment of ‘offending’ sounds. This is accomplished by the offering of rewards (food, toys, affection, and other positive reinforcers) surrounding the playing of CNP soundtracks. For puppies, this recording serves as a sonic inoculation by introducing new sounds immediately accompanied by positive associations. Fear. (n) An unpleasant emotion caused by the belief that someone or something is dangerous, likely to cause pain or is a threat to survival. Phobia. (n) A persistent, abnormal and irrational fear of a specific thing or situation that compels someone to avoid it despite awareness and reassurance that it is not dangerous. Dogs that have a fear of thunderstorms often go on to develop a full blown phobia that becomes deeply ingrained and highly resistant to change. Thunderstorm fear or phobia is very common and is experienced by dogs all over the world, and is especially prevalent in areas that have severe weather patterns. Dogs of a more sensitive nature or those that suffer with other anxieties are more likely to develop a fear or phobia, and whether this is triggered by a single traumatic episode or prolonged exposure, the result is often distressing for dogs and their people. Without extensive behavioral therapy and management strategies, fears and phobias will become chronic and severely impact a dog’s ability to cope when a thunderstorm rolls in. Back to top. When a dog feels fearful it experiences a number of physical changes. Heart rate and blood pressure are elevated and breathing becomes more rapid while energy is diverted to other muscles that need it most for fight or flight. Digestion is suppressed, growth and muscle repair is halted, immunity inhibited and senses are sharpened. This happens within a matter of seconds and allows the body to operate at its optimum level to ensure survival. This process is important if a dog’s life is in danger, but constantly experiencing these physical changes can put a lot of pressure on the body and increase stress levels, leading to long term illness. Back to top. Anxious dogs are often highly reactive and unable to settle, jumping at the slightest sound or movement. Visible signs of stress include dilated pupils, sweaty paws, shaking, excessive vocalization, excessive panting, hiding under furniture, and/or salivation. These signals can occur by themselves or together. Other manifestations of stress and anxiety come in the form of self-calming techniques such as yawning, sneezing, lip licking or intense displacement behavior such as sniffing, licking, excessive grooming, spinning or self mutilation. Dogs may urinate or defecate more frequently and often experience digestive upset such as diarrhea. Some dogs may display symptoms that look very like human depression, including the inability to sleep, low energy, lack of appetite and a limited desire for human or dog interaction. Learned helplessness, where the dog shuts down and ceases to learn, can also occur. Back to top. Auditory cognition in humans, as well as in dogs, is complex. When exposed to music, our brains methodically analyze every interval, rhythmic nuance, instrumental density, and melodic turn. When we’re young and healthy, we have abundant cerebral processing power to attend to many streams of sensory stimuli — be it sound, sight, touch, or smell. However, as we age, sensory tolerances decrease. When life energy is at a low ebb or when neurodevelopmental issues are present, music and sound can be a valuable source of arousal responses. However, the intricacies of conventional music often are too much for a depleted system to take in; music and sound may become mentally distracting, annoying, and even painful. This may lead to the individual retreating from auditory stimulation, therefore being deprived of sound’s beneficial vibrating effect. Auditory Pattern Identification. To create less demanding arrangements, melodic and harmonic complexity has been considered and edited based on the desired relaxation or arousal response. Complexity encourages active listening; simplicity facilitates passive hearing. The recordings for dogs favor passive hearing as we believe that many of our canines suffer from over-stimulation. Orchestral Density. It is far less stressful on the nervous system to differentiate fewer instrumental colors than to interpret a full symphonic score. Therefore, solo piano provides a source of rich, full spectrum frequencies; additionally, duos and trios create a pleasing variety of easily assimilated orchestral colors. In our two years of clinical testing, the solo piano arrangements scored the highest in every category for the deepest canine relaxation. Resonance and Entrainment. To enhance mind/body states conducive to healing and wellness, the natural principles of resonance (tone) and entrainment (rhythm) are applied to every composition. Back to top. Gradually exposing your dog to flashes of light that grow in intensity and using fans to simulate increasing wind is another part of therapy, but one that can be harder to implement. Masking any audio and visual stimuli that elicit a fear response during a storm by managing your environment so that your dog cannot see or hear the storm can also be effective. Dr. Nicholas Dodman of Tufts University in Boston has theorized that some dogs, especially long coated breeds, can become statically charged during a thunderstorm, receiving electrical shocks from static unless they can ground themselves, which is done by retreating to a bathroom and hiding behind a sink or toilet, staying close to pipes that provide electrical grounding. It is an interesting theory and one that requires more research, but it would certainly explain why so many dogs end up cowering in a bathroom. Either that or bathrooms are a good place to seek refuge as they tend to have small or no windows, therefore blocking out the visual of a storm. In order to reduce static build up, Dr. Dodman has had success advising owners to wipe their dogs down with antistatic laundry strips and spraying anti-static spray on their dogs’ paws. Provide your dog with a 'bolt hole' – a safe place where your dog can escape to in the event of a storm. Providing access to this safe place is essential at all times, particularly during a person’s absence. This could be a closet, bathroom or a basement, the best locations usually being ones that have no windows with plenty of artificial light (to mask flashes of lightning). If indeed static electricity is a problem for some dogs, rubber matting or tile is a good anti static material to use for flooring. Calming music should be played close to the safe haven so that thunder sounds can be masked. It is also essential that if you are present, time be spent with the dog in the safe haven or attention given to your dog if he comes to seek comfort. Far from reinforcing fearful behavior, an person’s comforting arm and presence can help a phobic dog to cope. Some phobic dogs benefit from other complementary calming therapies such as T-touch, tightly fitted body wraps, Dog Appeasing Pheromone collars, spray or plug ins, and Bach Flower Essences, while others do much better on anti-anxiety medication that can be given just before a thunderstorm develops or a daily dosage, especially during storm season. It is vital that behavioral therapy and management are always given along with any medications in order to give the dog the best possible chance of rehabilitation. Back to top. Victoria is a world-renowned dog trainer best known as the star of the internationally acclaimed TV series, It’s Me or the Dog. A bestselling author, Stilwell frequently appears in the media and is recognized as a leader in the field of animal behavior. For more, read her full bio. Through a Dog’s Ear sets the standard in the field of canine music therapy. Co-founded by psychoacoustician Joshua Leeds and concert pianist Lisa Spector, Through a Dog’s Ear music has been clinically demonstrated to reduce canine anxiety issues and is used in shelters, dog rescues, and animal facilities worldwide. For more information visit www.ThroughADogsEar.com. Back to top.